All our consultants have an in depth knowledge of practice management, having worked in and with successful practices and organisations in primary care over a number of years. Ruth Long started working in the NHS in 1983 as a Course Organiser (MMedSc) in the Department of General Practice at Leeds University. Following this worked for AAH Meditel installing and commissioning computers. 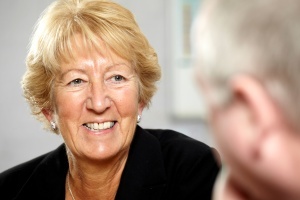 Ruth was responsible for the training and development of around 100 practices in the North of England. Ruth was a practice manager for 20 years, working at two practices in Leeds and in addition worked two sessions per week at South Leeds PCT leading on QOF and supporting the development of local practice managers. Ruth has been involved in a number of projects in practices. Ruth semi-retired from the practice manager post in June 2010, to take up the part-time position of General Manager at First Practice Management and hopes to be able to share her vast experience and enthusiasm for general practice and ensure GPs employ and develop good practice managers, with the ability to lead and develop staff and improve services for patients. 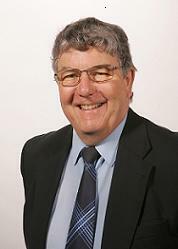 Richard Woolley has wide experience of managing and leading organisations in both the private and public sector. He has worked on developing leadership skills throughout organisations from the sharp end of customer service to board level. His experience covers both health care, primary care organisations, including general practice and the hospitality trade. He has led successful teams and developed leadership in those responding to him, enabling them to deliver on complex issues. He has also been involved in development programmes in primary care to increase leadership and performance delivery amongst other managers. Recently he has taken a leading role in the development of a primary care commissioning consortium, working with other managers and clinicians.